"Having partners like Mobil Super and initiatives like the ‘Go The Distance’ Tour only makes a trip to the ballpark that much more exciting." FAIRFAX, Va.--(BUSINESS WIRE)--ExxonMobil Fuels & Lubricants is on the road again for the fourth edition of its Mobil Super™ “Go The Distance” Baseball Tour – the ultimate road trip that celebrates the passion for America’s pastime and brings the excitement and enjoyment to fans and their families across the country. The 2014 Tour, which will hit the road from May 3 – August 30, will visit 55 baseball games in 18 states totaling more than 8,700 miles. The tour will promote and educate baseball fans on Mobil Super premium-quality motor oil products. The “Go The Distance” Tour will feature a 40-foot Mobil Super-branded RV carrying hands-on activities and displays, as well as Mobil Super product for giveaways. The cross-country trip is expected to reach more than 400,000 fans. Each stop of the 2014 Mobil Super Tour will begin with the 40-foot Mobil Super RV stopping by a local ExxonMobil retail or quick-lube partner location before heading to the ballpark to greet fans before and after each game. While outside the stadium, the Mobil Super ambassadors will be distributing product information, discount or product coupons and Mobil Super-branded baseball souvenirs. Fans will also have the opportunity to win gift cards or free oil change coupons through a prize wheel and interactive on-field activities. During select stops of the 2014 Mobil Super “Go The Distance” Tour, former major league baseball players will be making appearances and serving as honorary Mobil Super spokespersons. On game day, the players will team up with employees at local retail or quick-lube locations to introduce customers to the Mobil Super family of products. That evening, they’ll be on-hand before each game to sign autographs for fans and participate in the evening’s ceremonial first pitch. The first select stop will be in Memphis on May 10 and will feature former St. Louis Cardinals second baseman and 1982 World Series champion Tommy Herr. Additional select stops will occur in Albuquerque, N.M. (June 11), Bakersfield, Calif. (June 24), Salt Lake City, Utah (July 8), Omaha, Neb. (July 19), Lansing, Mich. (August 13) and Roanoke, Va. (August 23). 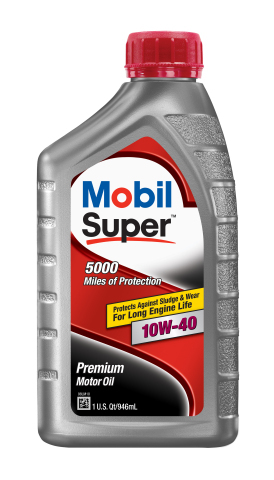 Mobil Super High Mileage: Uniquely formulated to help extend engine life in vehicles with more than 75,000 miles, this motor oil contains seal conditioners to help prevent engine leaks and reduce oil consumption. It is available in 5W-20, 5W-30, 10W-30 and 10W-40 viscosities. 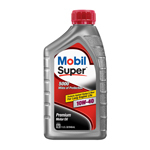 Mobil Super Synthetic: A full synthetic motor oil designed to help extend engine life, Mobil Super Synthetic oils provide outstanding engine protection in a wide variety of weather, temperatures, and driving conditions for vehicles of all ages. It outperforms our conventional and synthetic blend ending oils and is available in 0W-20, 5W-20, 5W-30 and 10W-30 viscosities. Minor League Baseball, headquartered in St. Petersburg, Fla., is the governing body for all professional baseball teams in the United States, Canada, Venezuela and the Dominican Republic that are affiliated with Major League Baseball clubs through their farm systems. The Mexican League and Mexican Academy are also members of the organization, but are not affiliated with any MLB clubs. Total membership includes 20 leagues and 256 clubs. Fans are coming out in unprecedented numbers to this one-of-a-kind experience that can only be found at Minor League Baseball ballparks. In 2013, the 176 clubs that charge admission attracted more than 41.2 million fans to their ballparks to see the future stars of the sport hone their skills. From the electricity in the stands to the excitement on the field, Minor League Baseball has provided affordable family-friendly entertainment to people of all ages since its founding in 1901. For more information about Minor League Baseball, visit www.MiLB.com.